There are a lot of posts on this blog on the case of Amanda Knox already and it still isn't over yet. Yesterday an Italian court again found her guilty of the murder of Meredith Kercher. Here are the charts of the day of the verdict, January 30, 2014. Transit Pluto inconjunct progressed Sun signifies stress and losing balance; the progressed Moon opposition Ascendant shows emotions. There are also aspects with Ixion, Nessus and Orcus. For a larger picture, click the charts. Here are 3 New Years charts for China (capital city) for 3 important moments. Which New Year's chart would you like? 1. The first chart is the chart of Chinese Lunar New Year, on January 31, 2014 at 0 hours. Chinese New Year is always on the day of the second new moon after the December solstice, with the Sun in Aquarius. Chinese astrology signs last for a year. This year will be the year of the Horse (see Wikipedia), a wooden horse. The description of the character of people born in the year of the Horse (communicative) makes me think of Gemini . 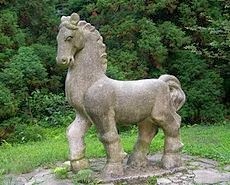 In Western astrology horses are related to Jupiter (and Jupiter to Sagittarius and - classical astrology - to Pisces). 2. 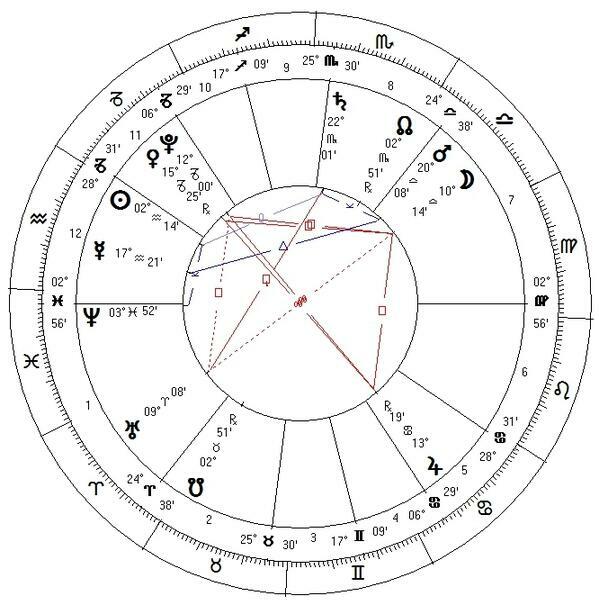 The second one is the chart of January 1, 2014 at 0 hours, first day of the Western calendar. The Western calendar doesn't relate to the position of Sun or Moon. 3. The third one is the December solstice chart 2013 (that is when the Sun is at 0 degrees Capricorn). And in all 3, Jupiter is elevated. Jupiter happens to be the symbol of the horse. De Wohl was a true astrologer. Jupiter and Uranus are vital components in the charts of astrologers and De Wohl has a lot of indications pointing at Jupiter and Uranus. The Ascendant is in a Yod with Jupiter and Uranus. Mercury is aspected by Jupiter and Uranus. The MC is tightly connected with Jupiter and Uranus . Jupiter is semi square Sun/Uranus. And the MC-routing ends in the mutual reception of Jupiter and Uranus. He was recruted with transit Uranus square progessed Ascenand and the progressed MC sextile Jupiter and semi square Pluto. Amazing how I can't seem to find more famous astrologer born under Aquarius, supposedly the sign of astrology:). I opened and closed numerous files on Astrodatabank and ended with the chart of Astrologer 10873, gender unknown, born on February 17, 1948 with Sun in the 29th degree of Aquarius sextile Jupiter in Sagittarius. Jupiter is prominent (rising before the Sun) and is opposition Uranus. I don't know if he still has a practice and apparently he hasn't published about astrology, but at least: he was interested and offered readings. The Jupiter-Uranus pattern is there. In what way De Wohl demonstrated being an Aquarian astrologer (and not, say, a Taurus)? I think it is in the application of astrology as a new technique in war times:). The chart shows the moment of joy by means of Venus and Jupiter (the planets of joy) on the meridian, together with Pluto, also telling us about the hope for financial gain and prosperity. The progressive contents could be attributed to the combination of Sun in Aquarius and Moon in Sagittarius. Midpoint Sun/Moon is square Uranus: motivated for modern times:). Another important feature is Neptune in the fifth house, not making aspects in sign or orb 5 degrees. This Neptune issues ideals, ideology and religion and says that this will be of importance at any possible level, somehow, anyhow. I studied the periods in history with Neptune in the first degrees of Pisces (see: http://astromarkt.net/neptune-in-pisces.html ) and found a remarkable number of revolutionary activities in those days. That is why I see Neptune here as the representative of the revolutionary ideal that eventually lead to this new, celebrated constitution. 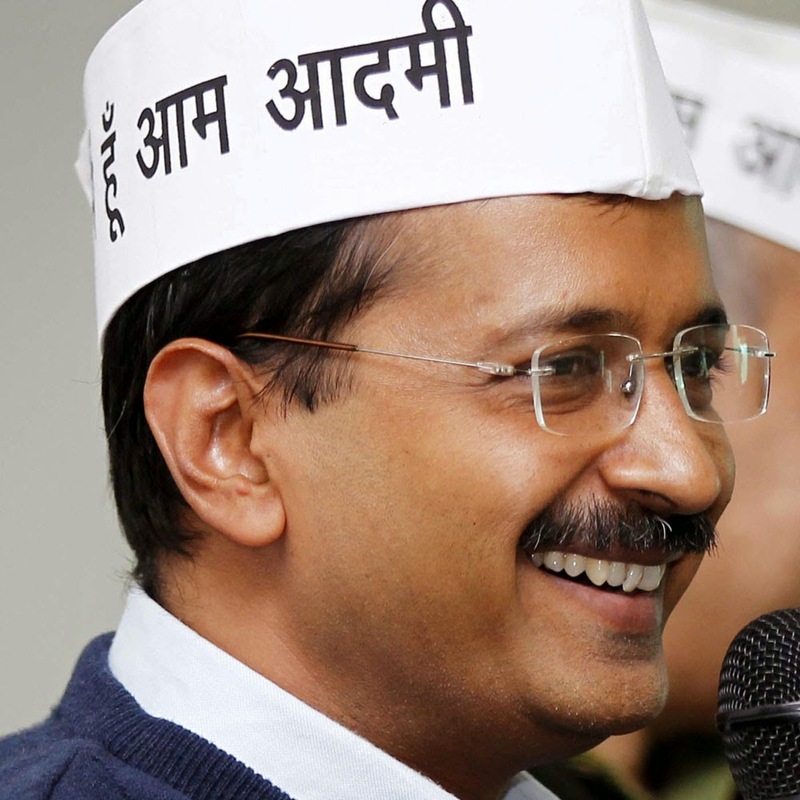 Is there an astrological explanation for a sudden rise like that of Arvind Kejriwal, someone asked. In 1950, on January 24, the Republic of India was founded. They are celebrating that India turns 65 starting today, now that the 65th year has begun. Time to have a look at the chart of a well known Indian politician. I always say that the chart is reflecting the events, not the other way around. Astrology works with symbols and those symbols have a wide range when it comes to meanings. Also, you need to see a chart in the context of culture, gender, time, age and circumstances. That is perhaps why the important Mars rising before the Sun in Kejriwal's chart signals being an engineer and being an activist in Kejriwal's chart. The football player Dmitri Viktorovitsj Charin (Russian: Дмитрий Викторович Харин) was born on August 16, 1968, too. His Mars rising before the Sun pointed at sports. Mars is the symbol of energy, drives, activism, action, fighting, fire, iron, steel, muscles and a lot more. It depends on your environment, family, status and physical abilities how you will show that Mars rises before your Sun. Mars was 'calling' (NA, no major aspects in sign or orb 5 degrees) on August 16, 1968. That makes the symbol of Mars important at any possible level. Both Charin and Kejrival will be active at any possible level, somehow, anyhow, using intense energy with a strong drive to win (Mars is semi square Pluto). I read that he called himself an anarchist, recently and calls for a fight against the Government. The second important planet is Mercury (also NA and 'calling'). That issues communications and transport. Those are 2 signs of changing times. They mean: changing life style and sudden change. Arvind Kejriwal founded a political party (AAP, Aam Aadmi Pary) in 2011, but in 2006 his life had already changed in a significant way. That is when he was awarded by CNN-IBN for his achievements in the field of public service. He didn't come out of nothing when he started his party. He was already famous and popular. Still, 2006 was a hectic and disturbing year for Kejrival following his resign as a Joint Commissioner of Income Tax in New Delhi. On special request I had a look at the chart of Sunanda Pushkar-Tharoor, the Indian wife of a minister who was found death after accusing her husband to have an affair. Today, her son, Shiv Menon, stated that he blamed her death on an the combination of media stress, tension and wrongly mixed medications. That is in line with the transit and progressions. She was born on January 1, 1962. Everyone born on or around January 1 is subject to the intense tension of the Uranus-Pluto square. Moreover: her progressed Sun was in the 4th degree of Pisces. Transit Neptune (the symbol of confusion, media, medication, alcohol, isolation and drugs) was conjunct her Progressed Sun. A chart doesn't give all the answer, certainly not without hour of birth. But the description of the situation as given by her son seems to be adequate. Accidental or suicide or murder? The chart doesn't say more than: a period of intense tension (Uranus-Pluto) and being in a confused state (Neptune-Sun). - Venus conjunct Mars, rising before the Sun. This signals a passionate woman. - Mercury without major aspects in sign or orb 5 degrees. This 'calling' Mercury tells us about the importance of communications and reason. 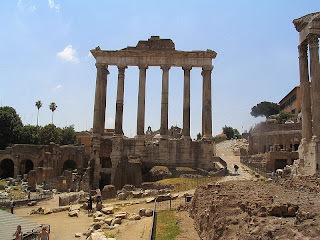 The fiery lady is no more and it is still unclear (very Neptune!) what exactly happened in her final hours. Transit Neptune with Mercury confuses the mind and tends to miscommunications. Neptune may create an illusion, a media event only. Low hopes, high stakes, they say ( http://www.npr.org/blogs/parallels/2014/01/20/264022368/low-hopes-high-stakes-for-syria-peace-conference-in-geneva ) How to give peace a chance? There is some speculation about the abdication of Queen Elizabeth II in 2014. 1. The idea is following the news about job sharing with her son (here: http://o.canada.com/news/world/queen-elizabeth-prince-charles-job-share-the-throne/ ) There is also a change in activities for Prince William and Prince Andrew. 3. On my site Astromarkt.net I published the chart of Queen Elizabeth a few months ago. c. Jupiter trine (progressed) Mars. Queen Beatrix of the Netherlands abdicated with Saturn and Pluto (see that story). There has been some speculation before in 2011. I wrote about that, too, at the time (see: http://astropost.blogspot.nl/2011/05/speculating-about-king-charles.html ) and then I also thought of 2014. 4. Here is the chart of the Prince of Wales with transits and progressions for his 65th birthday. Transit Uranus is on his Midheaven (tension, change), progressed Sun changing sign (changes life style), Progressed Sun square Jupiter (progress)…. So, maybe it is in the air. We will see if it will land. But if it isn't, what could those transits and progressions mean? In Astropost: Jupiter when you are ill I described the situation of a family member , the 8th house-matter and the inconjunct with Jupiter. She survived, but (with inconjunctions there is always something wrong), she never fully recovered and hardly walks. In fact: most of the time she is in a wheel chair. Saved (Jupiter) but with a loss. In this case: the lost ability to move freely and without pain. First of all: Uranus is rising before his natal Sun. Uranus is square Mars. On February 20, 1974 transit Uranus was inconjunct his natal Sun, while Saturn was square his natal sun. The Uranus-Saturn combination is the combination of limited independence and freedom AND the combination of breaking free. Progressed Venus square Uranus tells us about exciting new adventures and Progressed Pallas square Sun mirrors the confrontation with patterns in life changing. Secondly: Sun is 'calling' in Pisces. This means that he will draw attention, somehow, anyhow. In Pisces it may because of his fantasy, beliefs, ideology or idealism. Well, we noticed him. There may be no major aspects, but Sun is exactly sextile Vesta (the easy way out of 'home'?) and conjunct Eris (the importance of discord) with a sesquisquare Sun-Neptune (frustrating beliefs and ideals, the conflict between beliefs and reality). It is all there. Third important thing on the day of his birth: March 19, 1922 in Kainan, Japan is the exact trine between Mars and Neptune, his tightest aspect. Remember 'Into the Wild', the post about Chris McCandless who wanted to live in the wild and died after he found out that it was hard out there? 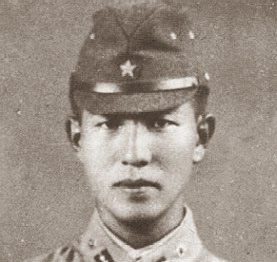 Hiroo Onoda has the same kind of aspect! Perhaps he was rather comfortable in the wild. Modern Japan was too much for him and he went to his brother in Brazil first, but later returned. Just like Chris McCandless, in spite of the odd action, he became a hero. That is also Mars-Neptune (and of course: Sun-Neptune). He became a myth. The contra parallel aspect between Sun and Saturn might have contributed to the long period of living alone. Then there is the combination of Sun in Pisces with Moon in Sagittarius for the idealistic believing character. Number 6, last but not least is his 'calling' Mercury. That makes it hard to convince the man or to reason with him, I am afraid. They told him that the war was over, before. But he refused to listen. The combination of all that, together with the circumstances (war, an island, suppression) explains some of his adventures and why he remained on an island in the wild for decades. This happens shortly after Progressed Moon square Pluto (and transit Saturn involved in this). This also happens right after Mars square Sun/Moon and transit Saturn opposition progressed Moon. And yes, Venus is retrograde, but she wasn't mid November, when the kitchen was bought. I think that Pluto has the starring role now. Time, money and schedules. Every renovation has time and money complications. Ours, too. We tried to call, mail, SMS and write to the builders, contractors and renovators in vain, for weeks, starting mid November. They kept us in the dark about prices and schedules. Pluto is for the price to pay and I had no idea that I would follow the footsteps of all those renovating families on TV and have to add 25%. There is also more work to be done than expected. And why do I have all that stuff? They say that it is good to throw away something old when you buy something new (or better, to start cleaning in order to make place). Yes, I threw away things that I hadn't used in 15 years! I recently cleaned and organized the garage, too. But somehow it is full again! It just happens… With Pluto, you have to go to the bottom of it (and right now 80% of the floor is occupied). The latest complication is my health (starting pneumonia, more seriously if the medication - Prednison, for example - fails). A couple of days ago - transit Mars and Saturn-Moon - we caught a virus. After that I couldn't breath like I used to. I have to avoid any dust next week (and wonder how!). So now I am rather tired and in bed a lot, hoping for better times soon. Next year Progressed MC will be opposition natal Pluto (and no more other Pluto's). I hope that it will be about the bathroom…and only the bathroom. 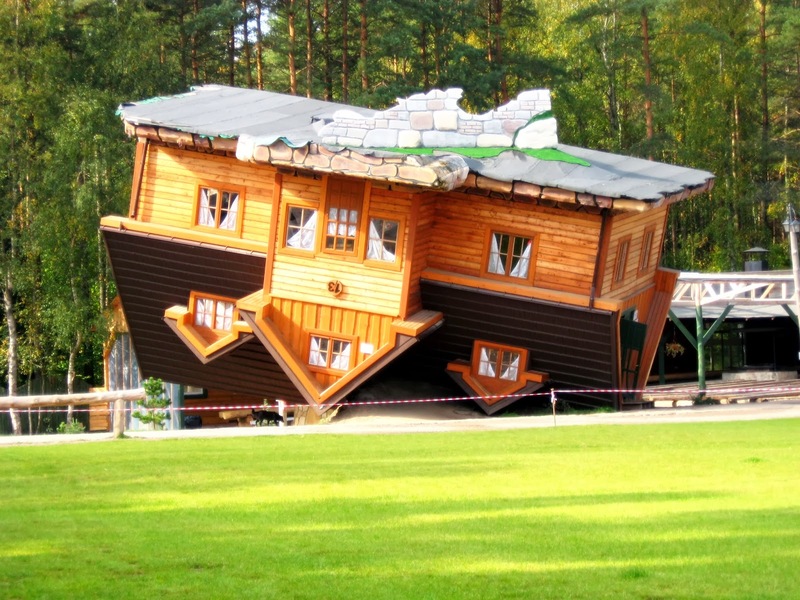 Renovations… It is just supposed to be fun with a happy end and it probably will. When you renovated (part of) your house, did you have a Pluto progression or transit? Yesterday Clarence Seedorf was a happy man. Now he is the coach of AC Milan, the club of Lady B (daughter of Berlusconi). From now on he is gotta win. Or let's say: AC Milan will have to win. It will be a very tense, challenging and exciting year for Seedorf. The Uranus-Pluto square hits and will hit his natal Sun and Mercury, as he was born on April 1, 1969. All Aries born on April 1 share the tension with him, though not all of them will have the pleasure to train one of the most successful football teams in the world (well, perhaps they will be, again:). Unfortunately the time of birth is unknown. This story lacks info on his Moon, MC and Ascendant because of that. Mars trine Uranus is his most narrow aspect and that is for acceleration and techniques. It will be a testing period for the nerves! Here is the chart of April 1. 1969 with progressions and transits for yesterday. In the series of astrologers (authors and professionals) and their sun sign, now it's time for Capricorn to see in what way the sun sign influences the astrologer's work. Here is the chart of a well known Capricorn astrologer that I found on Astro.com: the chart of Steven Forrest. This makes Jupiter and Uranus very important! Astro.com mentions that he studied religion. For this, see the Sun in aspect with both Jupiter and Neptune. Finally, I like to point at Pallas on the Descendant, mirroring the importance of seeing patterns (and often important in charts of astrologers). What's Capricorn -the sign of management - to do with that? Perhaps Saturn on Midheaven and Capricorn Sun manifest themselves in the fact that he is Chair of the Kepler College Advisory Council and a member of the ISAR Ethics Committee. The 3rd house cusp is in Capricorn and the ruler of the 3rd house (Saturn) is on Midheaven, while ruler MC is in 3. The importance of the 3rd house and ruler 1 in 9 shows us the 3-9 axis of educations and publishing. French president Hollande was in the news this week because of a picture of a man with helmet on a scooter, supposedly him, on his way to his lover Julie Gayet. It is interesting to see how Venus-Neptune works in this case. Here is the chart of Julie Gayet. The transits are the positions on the day of birth of the president. Her Venus is exactly square his Venus. So even if they don't have the same tastes or preferences, they like each other. Her Venus is inconjunct Neptune. It is not uncommon for an artist to have a Venus-Neptune aspect. In fact, most of them have such an aspect, as you may see on Art&Astrology. But it is also an aspect related to 'affairs' (secret loves, romance and unfortunate loves). Transit Neptune is inconjunct HIS Venus now. So now they both have a Venus inconjunct Neptune to share. Her Venus receives a trine from Neptune. As I mentioned in the article on resonance, a transit repeating a natal aspect combination is more important than usual. On January 9, 1902 Josemaria Escriva de Balaguer was born in Barbastro, Spain. On that day, there was a stellium of Sun, Moon, Mercury, Jupiter, Saturn and Chiron in Capricorn. There was a narrow conjunction of Sun and Saturn. There is a Capricorn Sun/Moon conjunct Saturn. This strongly motivates to be in charge and to organize. There is a strong need to be respected. This very Cappy chart belonged to the founder of Opus Dei (see Wiki), a Roman Catholic conservative organization of 80.000 member (not the millions of Dan Brown! ), that started to do the 'work of God' (that is what Opus Dei means) on October 2, 1928. It is not surprising to see so much Capricorn and Saturn in this chart. Capricorn is the sign of 'duty', the 'classics', ambition and of a certain conservatism. Sun-Saturn often highlights management qualities. Lots of managers (AND dictators) have a Sun-Saturn aspect (see this post: http://astropost.blogspot.nl/2009/03/sun-in-aspect-with-saturn-managing-to.html ). In the chart of Opus Dei, Neptune rises before the 'calling' Sun, while Mars is 'calling' too. That perfectly describes Opus (Mars!) Dei (Neptune orientation). That Mars is trine the Venus of the founder and exactly conjunct his Neptune (dream came true). 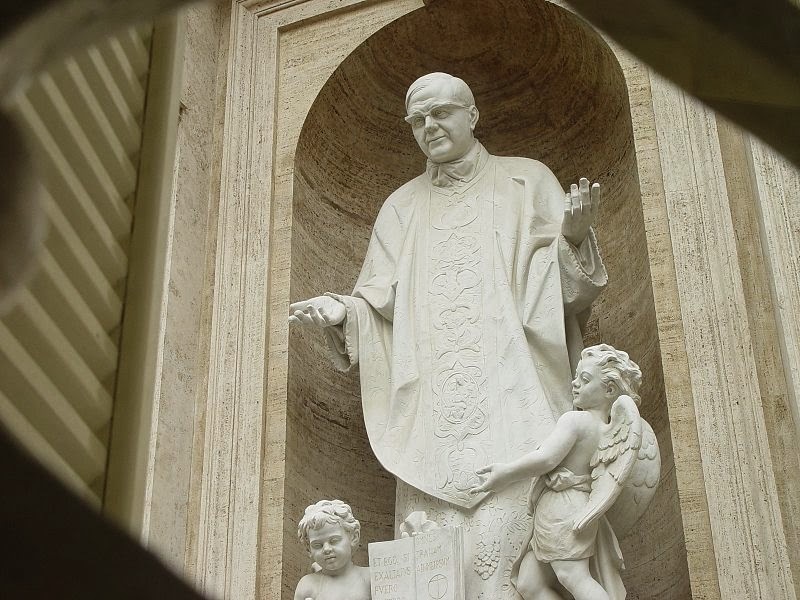 Transit Pluto was opposition the natal Sun, Moon and Saturn of Josemaria Escriva de Balaguer when he founded Opus Dei. This signals that dramatic moment in his life. Transit Pluto was also inconjunct Uranus (it seems that there was a lot of stress and nerves at the time). In the natal chart of the founder of Opus Dei, Uranus is opposition Pluto. Any transit or progression that connects Uranus and Pluto will be highlighted because of that crucial opposition on the meridian (IC-MC). Here you see the chart of the founder and the transits of October 2, 1928 (with just one click you get a larger picture). Uranus is very important. Uranus is the symbol of controversy and semi sextile Sun. Also, Eris is on the Descendant. With such an Astro ID with such an important Uranus, it is to be expected that there are very different views of him. A lot of catholics see him as a saint. Others point at his defense of Hitler and France. Mars-Uranus is a frequent combination when it comes to accidents. So it is in the case of the accident of Angela Merkel (see BBC: http://www.bbc.co.uk/news/world-europe-25622660 ), because transit Uranus is now square her progressed Mars. In the natal chart, Mars is out of bounds. Perhaps that increases the importance of transits and progressions from or with Mars. There is also transit Eris inconjunct progressed Sun now. We use to use right ascension when we read charts. Very few computer programs or books inform us about declination, parallel and contra-parallel aspects. Even less speak of 'Out of bounds'. I recently started to have a look at 'OOB's' and like to share my findings here. You know that the Sun moves between the Tropics of Cancer and Capricorn. In high summer, on June 21, the Sun is at 23° 26' 14.675″ (23° 26′ 16″) north of the Equator at noon in the astrological sign Cancer (and on the tropic of Cancer). In winter, on December 21, the Sun will be on the Southern tropic (the Tropic of Capricorn) at noon. The latitude for the Tropic of Capricorn is 23° 26' 14.440. 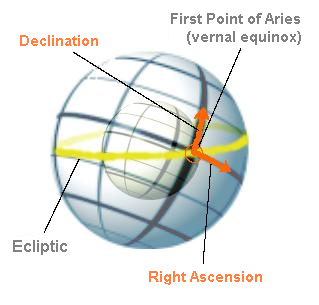 Planets, Sun or Moon can be at the same latitude (parallel) or at the point far away on the other side of the equinox (contra-parallel). A Sun at 10d North is contra-parallel the Moon at 10d South, for example. The parallel aspect means: being on the same level. The contra-parallel means: being on different levels. Some astrologers say that the parallel aspect may be seen as a conjunction and the contra-parallel aspect as an opposition. Sometimes the Moon, Mercury, Venus, Mars, Uranus and Pluto or on a degree of declination where the Sun will never be. That is when they are out of bounds. A Moon at 28d25m is out of bounds. A Mercury at 24d05m is out of bounds. Jupiter is rarely out of bounds (and just a little tiny bit). Saturn and Neptune are never out of bounds. Some of us have none. Some of us have 1. Some of us have a few OOBs. What does it mean to have an OOB? OOB positions make the planet or Moon as special as a 'calling' planet (a planet with no aspects in sign or orb 5 degrees). They draw attention. With Moon it is your behavior, with Mercury your way to communicate, with Venus your style or preferences, with Mars your drive and energy (like in the chart of Usain Bolt) and with Uranus you are perhaps a bit eccentric. The OOB Pluto can be the symbol of fanatism. I happen to have 3 OOBs (Mercury, Venus and Uranus). I have a parallel aspect and a contra parallel, too. In 2014 I will pay special attention to declinations, parallel and contra parallel aspects and of course the out of the box, out of line OOBs. It is always a pleasure to point at a horrible transit when something goes wrong. I had transit Mercury inconjunct Pluto just now and yes: big blooper. That will teach me not to underestimate Mercury! I posted the chart of another Eusebio, also a late soccer player, but born in another decade. Here is the real chart of Eusebio, the famous football player who died today. There is no hour of birth, unfortunately, and that limits the number of indications for the fame and for what happened today. I can only point at the 'calling' international Jupiter (no aspects in sign or orb 5 degrees) and the out of bounds Pluto to get a highlighted success combination that Jupiter-Pluto is. And today, transit Pluto inconjunct Jupiter and Progressed Sun inconjunct Pallas (novile Uranus) were perhaps enough to end the life of Eusebio, who had health issues before. There is an article on Astromarkt about Mars-Saturn, including Mars-Saturn synastry, one of the most nasty interactions between charts in a relationship and very hard to deal with. I wish that I had beautiful examples of Mars-Saturn happy couples, too (just to show you that there are always exceptions), but I don't have them, yet. I'm sure that it takes a lot of Venus to overcome Mars-Saturn. Mars-Saturn is the symbol of: inevitable, obligatory action or inactivity based upon duty, age, fear or caution, with different results and consequenses. That includes death, discipline and punishment. I added the Polly Klaas case to the article on Mars-Saturn today. Her name was on the list of Astro.com 'birthday today' and I wondered who she was. Polly Klaas was kidnapped and murdered by Richard Allen Davis, born June 2, 1954. She was born on January 3, 1981 and only 12 years old at the time. There is a dramatic Mars-Saturn synastry here. Her Saturn at 9d35 Libra is square his in the 8th degree of Capricorn. His Saturn is at 3d33 Scorpio and that is square her Mars in 3d Aquarius. Her natal Mars is trine Saturn. His natal Mars is sextile Saturn. So, in the composite chart there is Mars square Saturn. He was punished for committing a capital crime. Because of killing her, he was stopped. Unfortunately, too late for Polly. 2. The hero and the terrorist in the Detroit plane incident both have a Mars-Saturn aspect in the natal chart (sesquisquare and square). Mars of the hero was conjunct the Saturn of the terrorist. And the Saturn of the hero inconjunct the Mars of the terrorist. It was a matter of attempt to kill and being restricted and stopped. 3. Other example of Mars-Saturn synastry http://astropost.blogspot.nl/2011/01/mars-and-saturn-in-synastry.html is the interaction of the charts of Jared Loughner and Gabrielle Giffords, his victim.